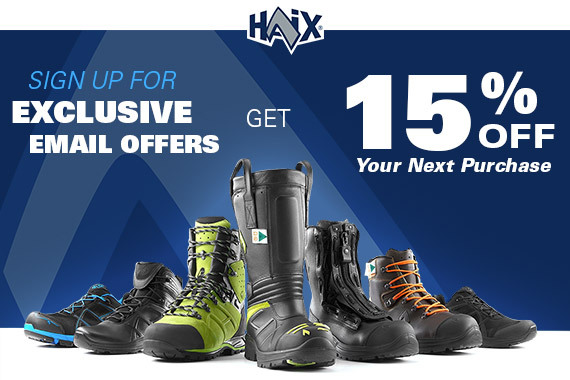 Product information "HAIX Combat Hero"
What do you look for in a pair of military boots? If you want army compliant boots that offer quality over your issued boots, you need to go beyond mere looks. The HAIX Combat Hero not only offers up a boot that meets AR 670-1 requirements but is a military ACU combat boot that will serve you in the best way possible. The newly designed HAIX Combat Hero is constructed with high quality European rough out leather with textile inserts to provide you with a breathable piece of foot gear that will keep you comfortable all day. The abrasion resistant and breathable inner lining paired with the built in Climate System, helps to wick moisture and sweat, releasing it through vent holes at the top of the boot, so your feet will also stay dry and comfortable. Built with an anatomically correct footbed, Combat Hero provides you with the proper foot support needed while on long rucks, lugging gear across rugged terrain. Yet it is lightweight and comfortable enough to use when carrying out every day admin work. These military ACU combat boots offer minimal break in time too. The rubber tread is tough enough for any terrain and the EVA midsole provides you the comfort of not feeling every rock and stone you encounter on a long hike. The sporty toe and heel rounding lends itself to optimal step and bend behavior and the cushioning in the sole offers superior shock absorption. The rubber at the toe adds to the HAIX Combat Hero’s durability as it functions as an added layer of protection from impacts, scuffs and cuts. The HAIX® 2-Zone Lacing allows you to adjust the fit of the Combat Hero to your individual preference. The non-reflective low friction loops permit the laces the move smoothly without wearing the laces down prematurely. The lacing allows you a snug fit across the width of the boot while providing wiggle room for your toes at the front. Lace locks keep your foot secure into the heel area with no movement of the foot forward or up and down, which can lead to blisters and/or foot and ankle injuries. Related links to "HAIX Combat Hero"
Customer reviews for "HAIX Combat Hero"
I got these today…finally…and am wearing them around the house tonight. The only other pair of HAIX boots I have are the GSG-9 boots that I bought a couple of years ago. They have been a good boot; one, in fact, that I wear when I need dressier footwear and boots are all that I have. For a German made boot, your sizing is correct for the US market and I was a surprised when I got the GSG-9 and my US sizing, which I selected when ordering, was correct (I usually have to go by UK sizing for European made footwear). So, based on that experience, I ordered these Hero boots in my US size and they are fitting well, especially in the toe box. For this type of boot, they look and feel like they will work out well. I pretty much gave up on other boots of this type (except the one pair of Meindl's I have, which I don’t currently wear), so the HAIX is a welcome addition. I will be curious to see other reviews when they start coming in as this is a somewhat high priced boot for a combat/tactical boot marketed to the military. Too soon to advise on long term wear, but they are more promising than others I have had (except maybe the Mendls, once I got their sizing correct...the UK thing, you know...).